The iconic Raffles Hotel has finally gotten itself a decent restaurant for brunch with The Halia coming under its roof. Afternoon tea at the Tiffin Room is one thing but ladies of leisure still need their morning coffee run and eggs of course! 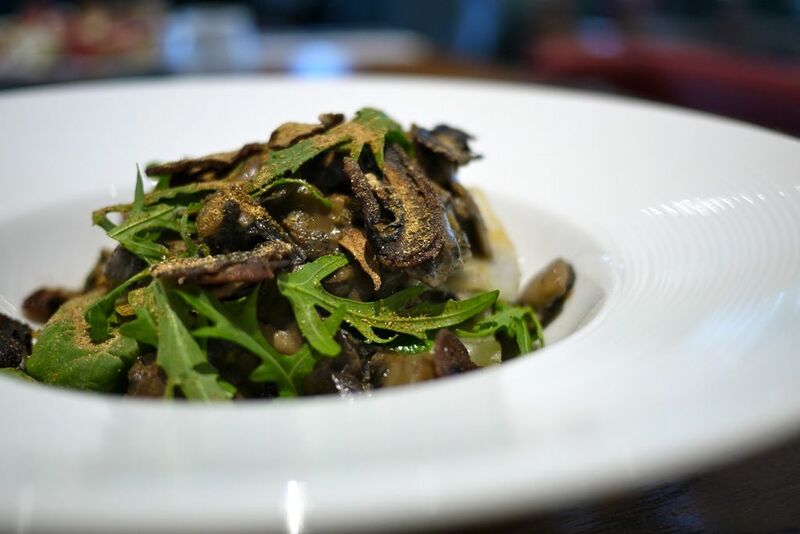 And what better place to do it than at the urban, casual-chic sister of the award winning restaurant. I much preferred the indoor space which has a bit more privacy as compared to the alfresco bar area. Plus the Singapore weather is not meant for dining outdoors, even with ceiling fans. Give me my ac please. There is that partial garden feel within the restaurant and it felt quite cosy dining under the vines. I started with the Cardamom, Ginger & Cinnamon Coffee ($10), which proved to be a mistake. Ginger and cinnamon are best added to tea and not coffee. This tasted like some herbal brew. 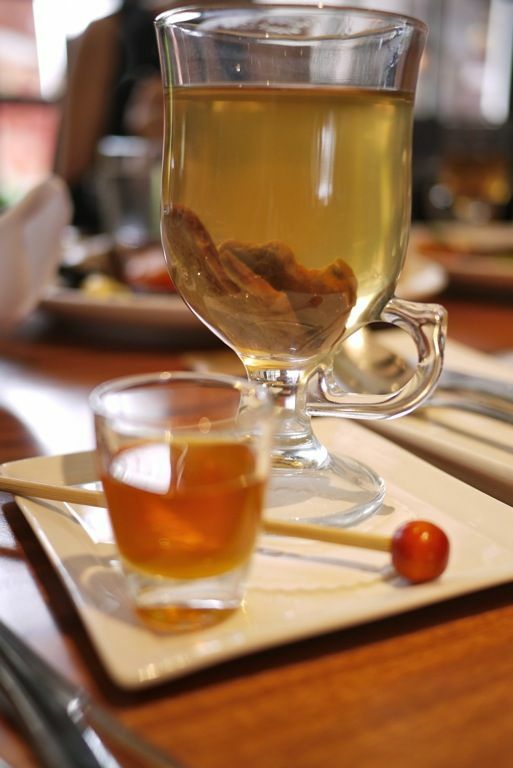 Stick to the Halia infusion ($10) with sun dried ginger and wild mountain honey. Nice warming and soothing effect on the tummy. 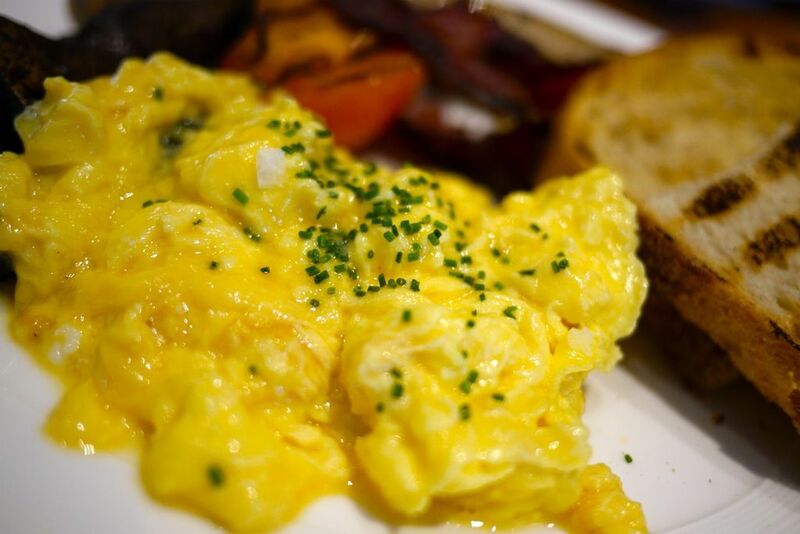 Weekend brunch starts at 11am. 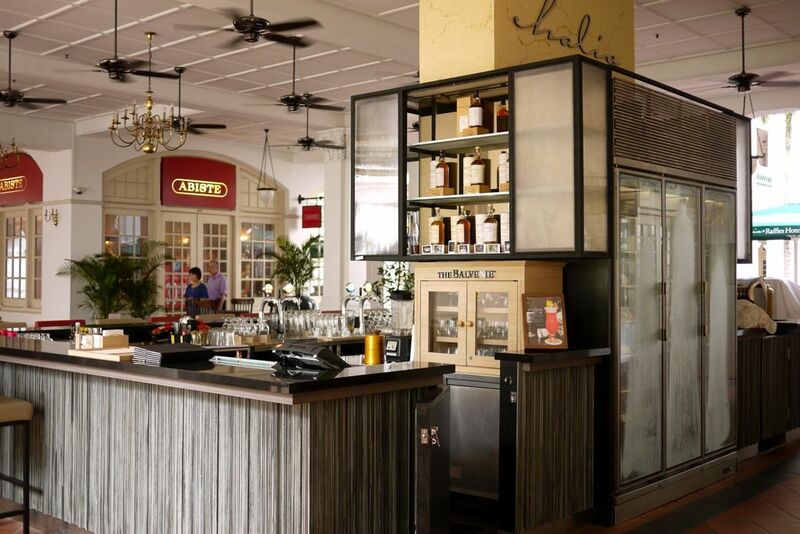 The selection is extensive with both the Brunch Specials and the Main Menu available for the picking. 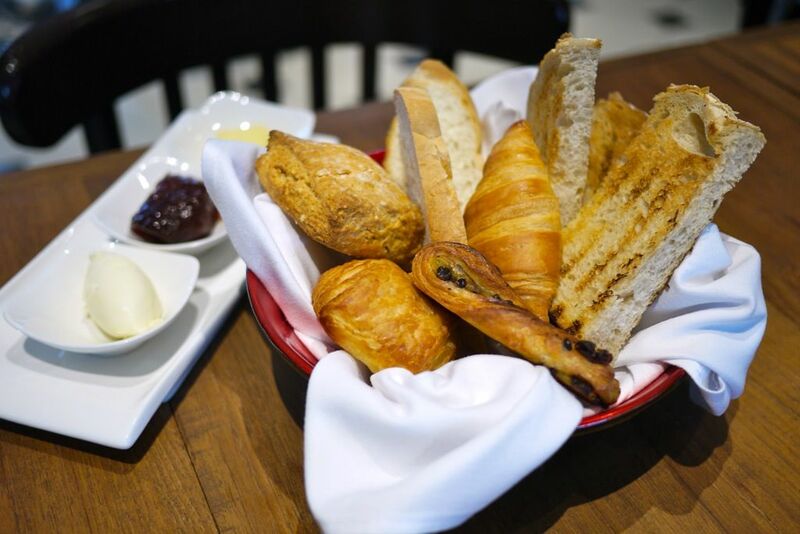 I've been in quite a bread mood recently and the Assorted Bread & Pastries ($12) really appealed to the tummy. The croissant was delightful and i love that they serve clotted cream with the basket. 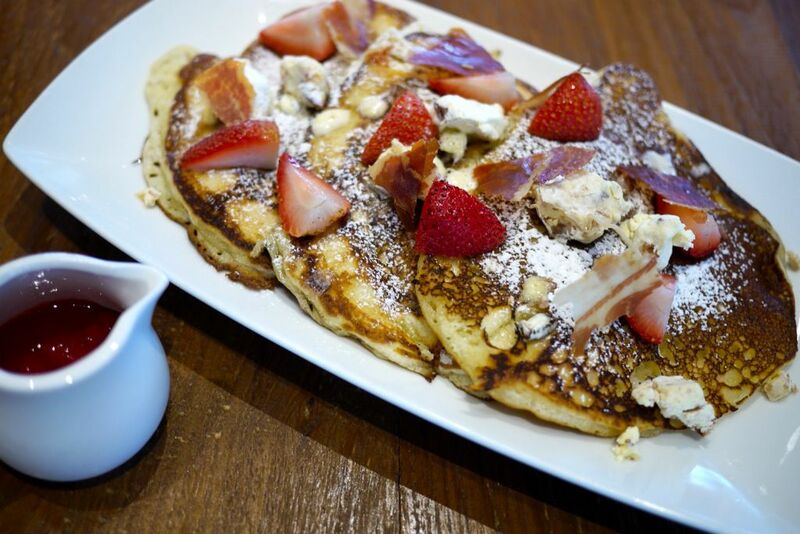 The Pancake with bacon, maple butter, fresh strawberries & puree ($12) was one of my favorite dish. I always get overwhelmed after eating a piece of pancake but Halia's rendition had me going on and on. I like the slightly buttery batter which was fluffy and the thin flaky bacon was an interesting complement to the dish. 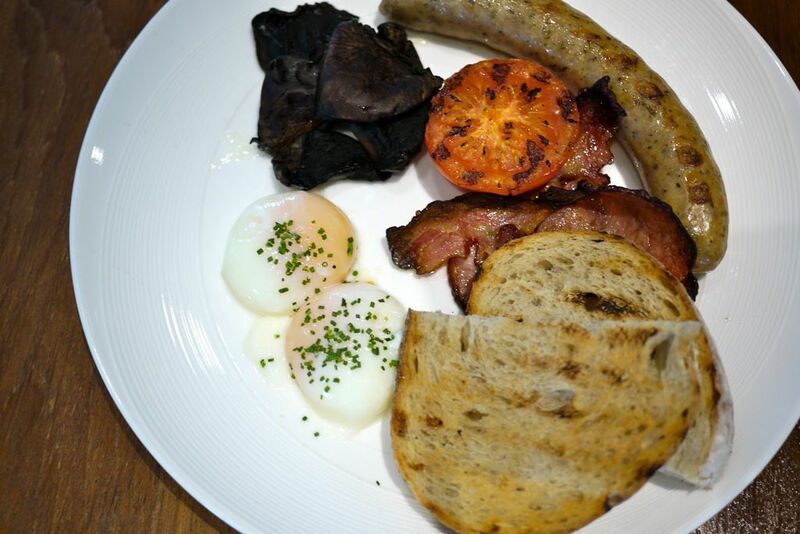 If you're more the traditional English Breakfast sort, you'd do well with the Grilled breakfast with any style eggs ($23). What's interesting was the sweetened bacon which was thick and juicy. 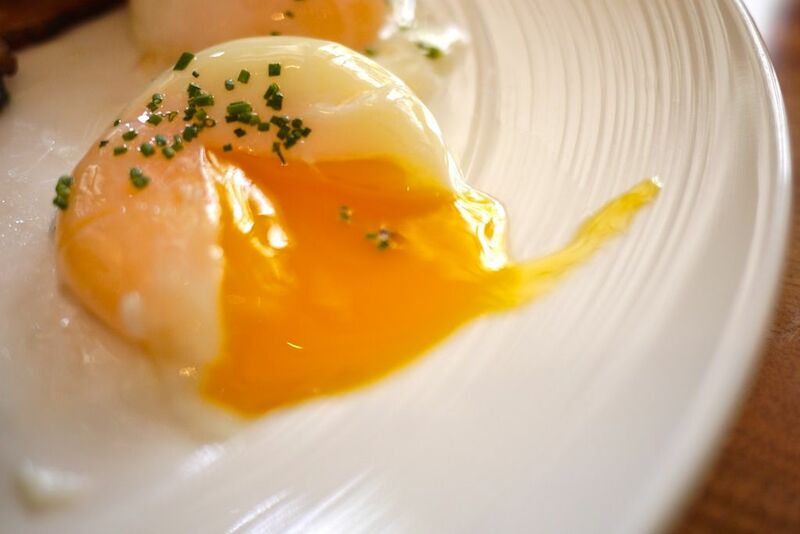 Look at that glorious poached egg. It said poached but i felt it was more half boiled. Nevertheless, i like this texture better than the papery poached sort. The scrambled eggs had this interesting layered texture and i like that it was runny but not too creamy. I'm getting hooked on buttery eggs. 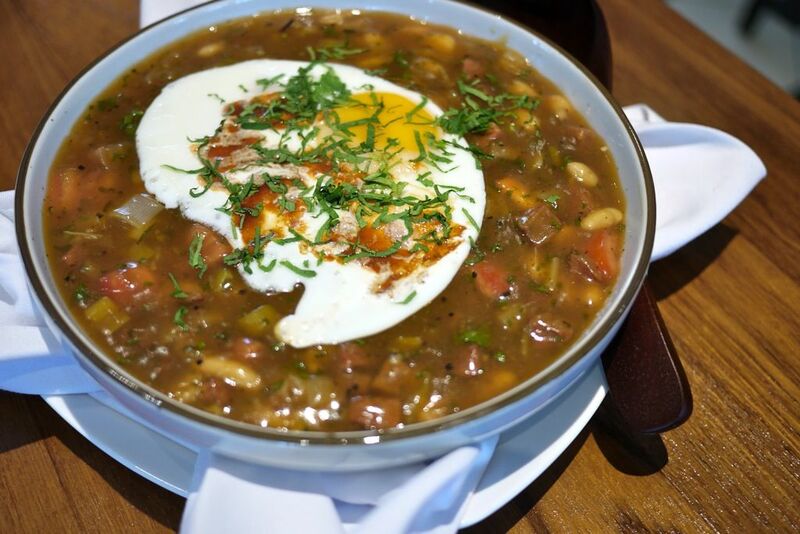 I'm not so much of a fan of the White bean Iberico chorizo leek stew ($16) but if you like gumbo and the starchiness of such a stew for brunch, then this would be it. The stew was rich and starchy with a tinge of sourness from the smoked chipotle sauce. 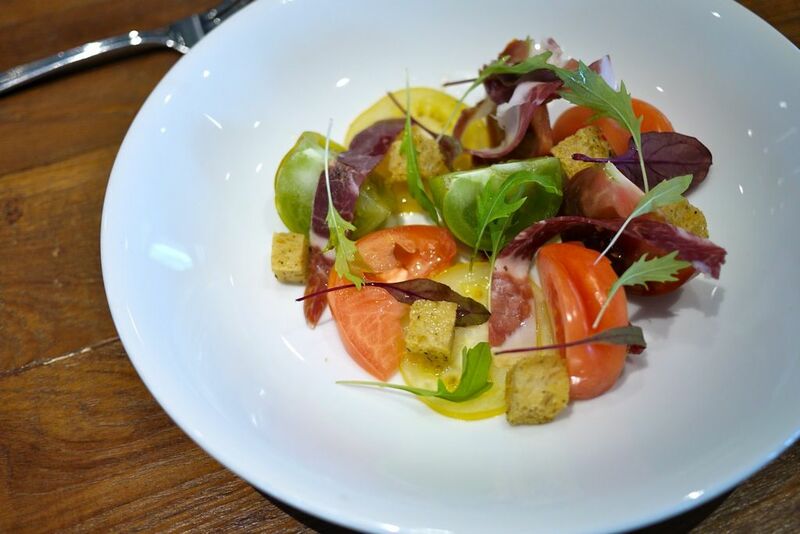 The Heirloom Tomato ($20) was a so so dish. Definitely not what i would order. 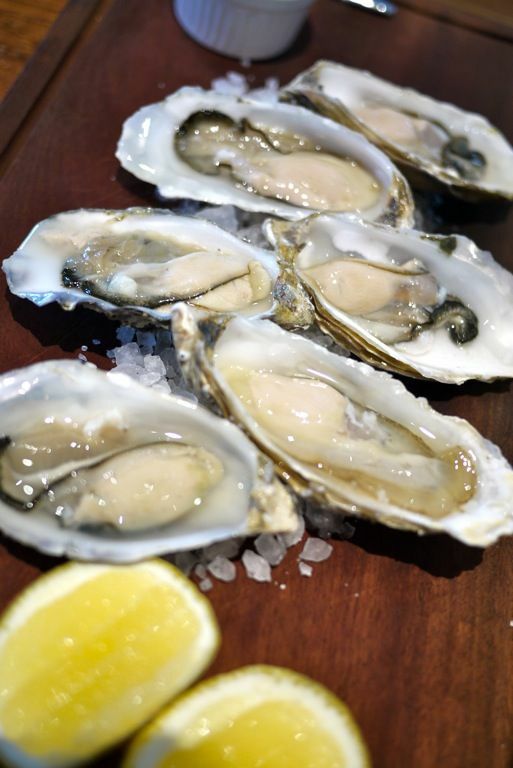 Freshly shucked Irish oysters ($5.50/pc) are also available for brunch. Moving on to the Main menu. 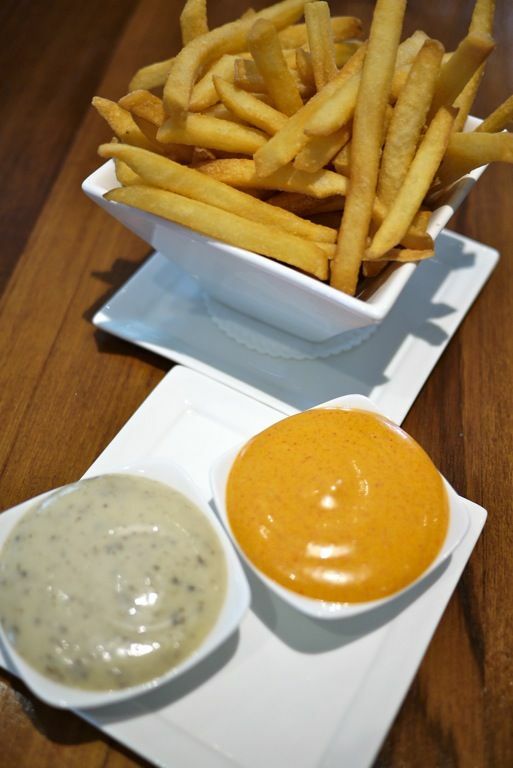 Potato Fries with Truffle Aioli & Piquant Mayo ($8). You can never gop wrong with tuffle aioli! The Celeriac "Lasagna" ($12) is an interesting signature with crunchy thin sheets of pasta. I thought i was munching on vegetables. This was accompanied with mushrooms, thyme, baby spinach, lemon and Madeira cream. 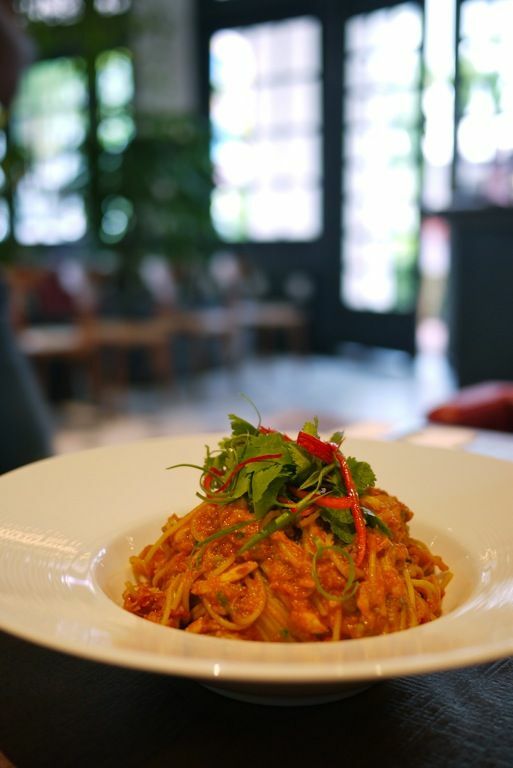 Another signature is the Halia Chili Crab Spaghettini ($25). Piquant spicy finish that is typically Asian. The flavor of ginger was rather strong but it gave the dish a fresh note. I could also taste the sweetness of the crab meat. If only they would use a thicker pasta. The Sous Vide Baharat Chicken Leg ($28) was very tender and flavorful. It also had that smoky taste which was well complemented with the sweet butternut squash puree. I was intrigued by the crispy thin skin which had the texture of a baked potato skin. 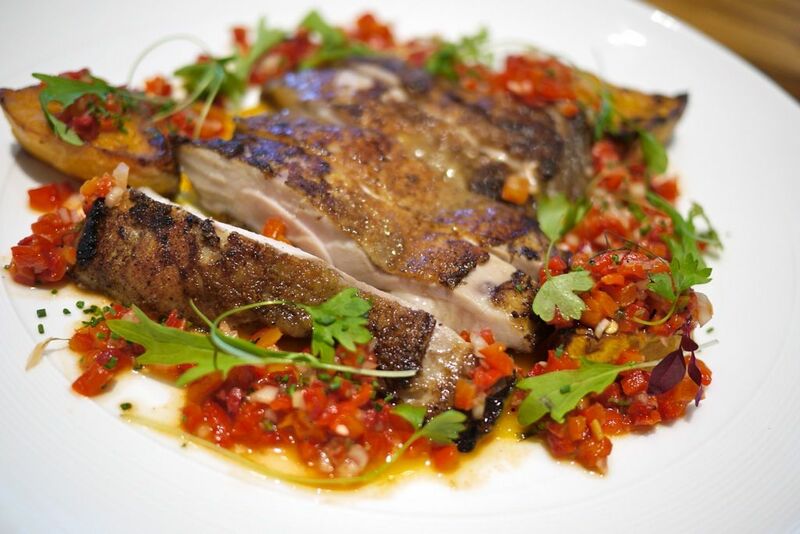 Served with a ginger, coriander and pepper salsa. 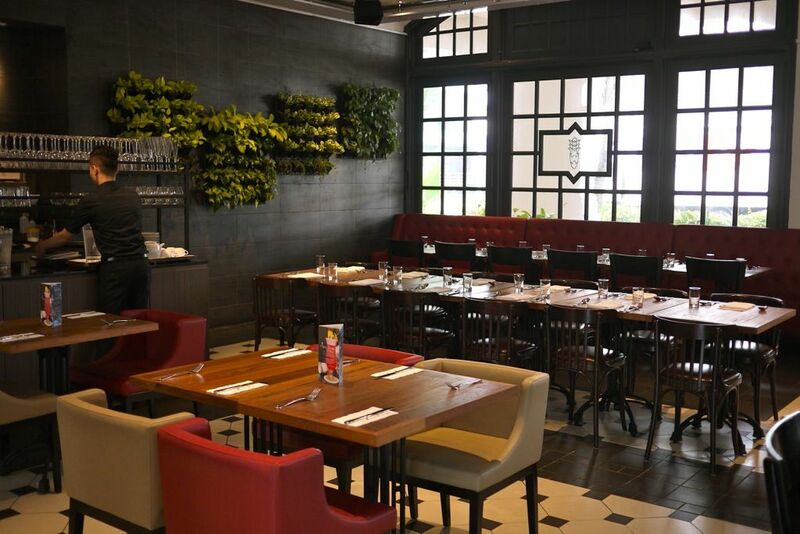 I like how Halia caters to vegetarian eaters with their innovative dishes. The Mushroom, Lentil & Walnut Bake ($24) was absolutely delicious and even this meat eater was sold. 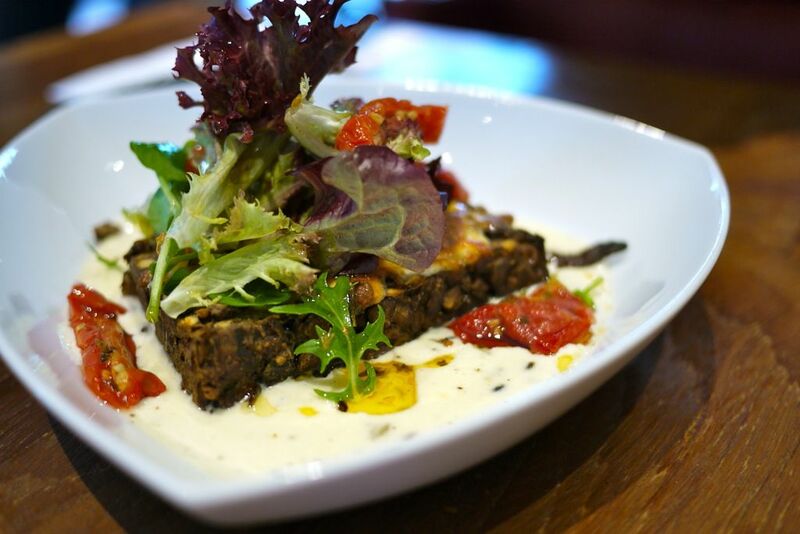 It was nutty, cheesy, savory and sweet with the fennel seed cream and sun dried tomato. I would order this again. As you can tell, the Halia offers a wide variety for brunch and i found it quite perfect for group gatherings. Enjoy!